A beast of a colouring book from the Shrek movie. Brace yourself for an ogre of a time! Living a quiet life as a family man in Far Far Away, Shrek longs to feel like a fearsome “real ogre” again. But when he’s tricked into making a pact with crooked Rumpelstiltskin, he finds himself trapped in a world where no one even knows his name. Will he and his friends ever be happy-ever-after again? Find out – and recreate the excitement of the movie when you complete all the scenes in Shrek’s stonking colouring book! 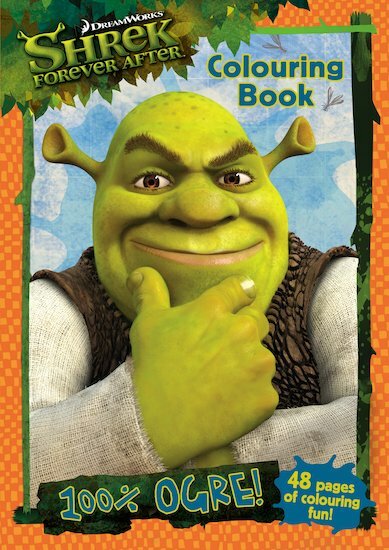 This book has all the pictures you want to colour in fram shrek it is great fun.